Here’s a clip from a private concert we did with the Eighth Blackbird creative lab last week (also Brandon Quarles camera operating debut! 🎥) This piece has been untitled for quite a while, but as a new album project is coming together, it’s place in the narrative is starting to come together. Stay on the lookout for ways that you can make this new project a reality! 2 weeks 4 days ago. Boise, you make a phenomenal first impression. Beautiful city and beautiful people! Thank you Treefort Music Fest, and a huge round of applause for all of the work from 208 ensemble and Jake Saunders. And hey, thanks Boise State Public Radio and NPR for the shout out in the festival wrap up. It was a pleasure to play for you. https://www.boisestatepublicradio.org/post/sounds-treefort-2019-end 3 weeks 4 days ago. Hey Chicago, one more show tonight that you can catch from the comfort of your own home. I’ll be sharing a bass sax piece from a new album project, joining some of my favorite people from the Eighth Blackbird creative lab. 8pm on WFMT, check it out https://www.wfmt.com/2018/03/18/eighth-blackbird-creative-lab-2/ 1 month 3 days ago. Thanks to @bgsupraecepta for having me tonight! Getting ready to take this on the road for the Eighth Blackbird lab reunion extravaganza in Chicago, followed by an adventure out to the Treefort Music Fest in Boise, Idaho, for solo sets and collaboration with @jjake.saunders. 1 month 1 week ago. Nick Zoulek, Saxophonist shared a photo. Recording today for an episode of New Music From Bowling Green. Check out the live stream below: 2 months 1 week ago. 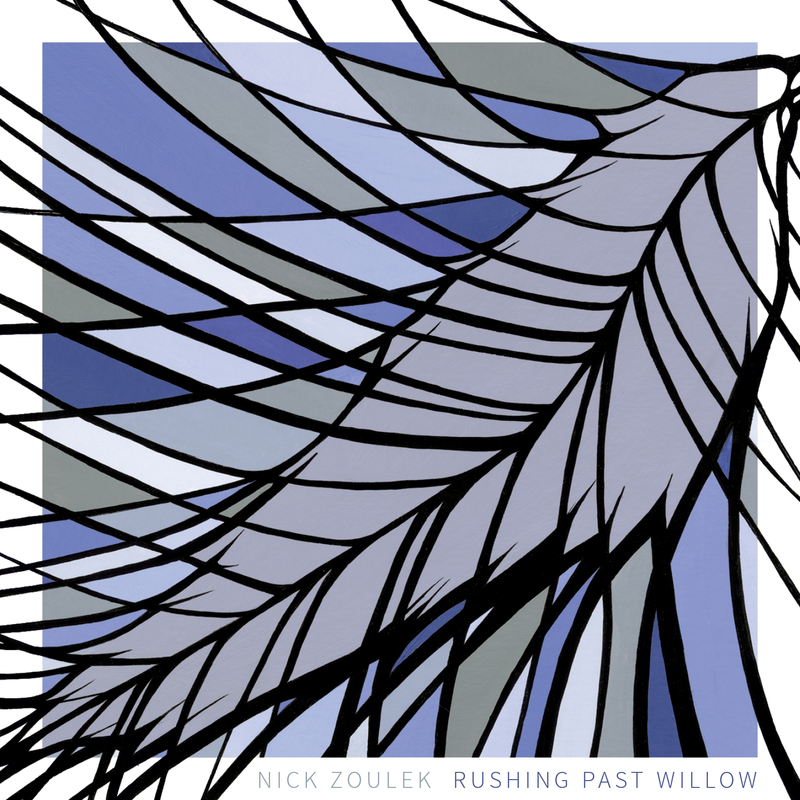 On his debut album, Rushing Past Willow, saxophonist and composer Nick Zoulek refines the idiomatic sound of the saxophone and brings the fruits of this intense research and dedication to the wider world. Zoulek’s works for solo alto, tenor and bass saxophones were conceived as improvised moments and refined over a decade of performance and reflection. They coalesce into a narrative that is set against a solitary willow tree, serene and poised, serving as witness to a story of lost love, compassion, connection, cognition, perception, chaos, and time. Through repetition, vocal techniques, circular breathing and unconventional articulation, Zoulek pushes past the typical sound of the saxophone. What often begins as a recognizable line eventually circles back on itself, erasing ideas about beginnings and endings in the process. Recorded with an array of carefully placed microphones, the live performances were assembled into an immersive whole by sound artist Jason Charney. At once evocative and contemplative, Rushing Past Willow is an invitation to know an instrument better and, through it, the energetic world. A modern artist with an impassioned eye toward the unification of contemporary art and sound, American saxophonist Nick Zoulek’s focus on collaboration, improvisation, and commissioning new works has led to a diverse portfolio of distinctive performances and artistic ventures. Working with a unique array of musicians and performers, including Wildspace Dance Company, multimedia musicians Netmoiré, and saxophonist Tommy Davis as part of Duo d’Entre-Deux, Nick’s craft has been lauded as “a delight”, and with the capacity to “[take] you to other worlds” (Milwaukee Magazine). Uniquely skilled as a bass saxophonist, the prowess and versatility Nick displays on the instrument has been praised as “[b]eautiful harmonies [singing] in contrast to mysterious knockings and hums, and finally to ungodly, soul-shattering blasts” (Shepherd Express). Zoulek is currently pursuing his DMA in Contemporary Music Performance at Bowling Green State University. He has studied under John Sampen, Jean-Michel Goury, Matt Sintchak, and Jon Amon.